Don't Be Tying No Strings On Your Fingers, Use This Instead | OhGizmo! Who Needs Cats When You Have The Lazer Stunt Chasers? Sometimes you have to remember something real bad. Just can’t forget it. Tying a string on your finger is one way to do it, but hey, what if you don’t remember why you tied a string? 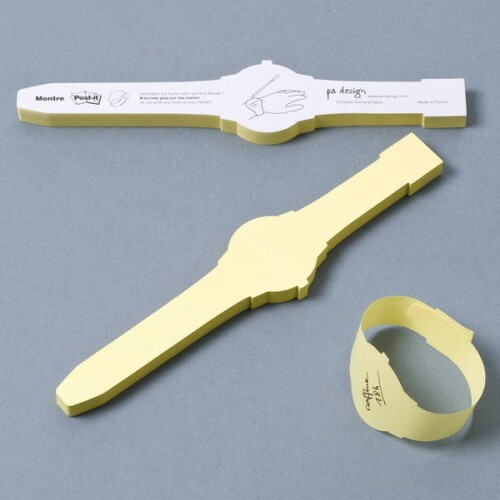 Buy a set of these die-cut Post-Its and wear them like wristwatches. ← Who Needs Cats When You Have The Lazer Stunt Chasers?